A fanciful person once asked me: "Why do women cry at weddings?" Well, I have an opinion about that, but it's one I usually keep to myself. There are, of course, many marriages that are an excellent cause for a good cry. In Wife of the Gods, by Kwei Quartey, there is an interesting story about one of these sad instances. 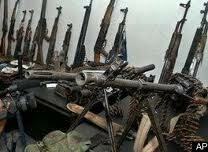 In Ghana, on the western part of the African arm, there is a custom that goes back for generations. Accepted in the past, it has become controversial in the present. 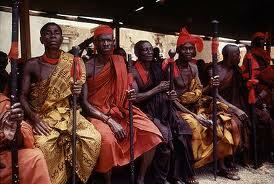 The custom relates to the Trokosi, which is translated to wife of the gods or slave of the gods. These are young women who are given in their early puberty to the holy man of the village to serve him in all ways and to make reparations for possible wrongdoings. Traditionalists are in favor of the custom and deny that slavery is involved. 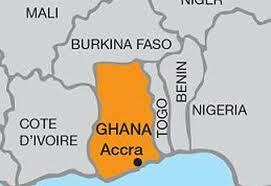 The Ghanaian government, as well as other organizations, oppose the practice. Detective Inspector Darko Dawson is a city boy who lives in Accra. He is quite pleased with his life as a policeman, husband and father. He has had tragedies in his past, having lost his mother when she disappeared after a visit to her sister in Ketanu, and when his brother was severely and permanently injured in an accident. Aside from having an anger management problem, Darko is ordinary––except for a special sense called a synesthesia, with which he can hear special qualities in people's voices. He describes voices as the sensation of soft, wet grass on bare feet, the texture of rich warm velvet, and even the sense of a sharp wet river reed scraped across the palm. These descriptions help the reader get a better sense of the character so described. A young medical student, Gladys Mensah, was helping out in the village of Ketanu, bringing education about sanitation and AIDS. She was also trying to help the young girls and women known as the Trokosi. One day, she is found murdered near the area where the village priest/holy man lived. 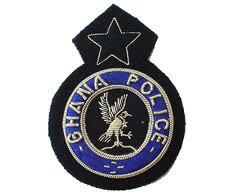 One of the Trokosi, Efia, is the person who finds the body. Many years earlier, Efia’s uncle murdered a man and was imprisoned, but the family feels they have been cursed and are suffering from the gods' displeasure. 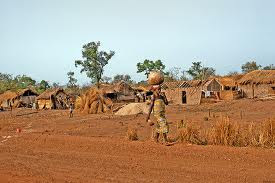 The elders of her family go to the high priest, Togbe, who communes with the gods and tells them that all will be well if they bring him a female child to serve at the shrine. She will belong to the gods and she will give birth to the children they give her through Togbe. 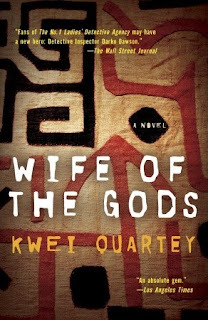 Thus, at the age of 12, Efia becomes a wife of the gods. Witchcraft and traditionalist healing and spirituality are essential elements of the story. DI Dawson has more modern beliefs, and he decries old-fashioned notions. This is what makes this story especially satisfying; the juxtaposition between a modern city like Accra, and life in a rural area such as Ketanu. Dawson is sent to the location to clear up this case. He has relatives in the area and he speaks the local language, Ewe. He has mixed feelings, because he feels more at home with concrete under his feet, and memories of the disappearance of his mother in this part of Ghana have kept him from visiting his family, his mother's sister, for decades. But, on the other hand, he may re-investigate this mystery as well. He too, has a foot in both worlds, even though he has tried to put the past behind him. This is a story of contrasts. 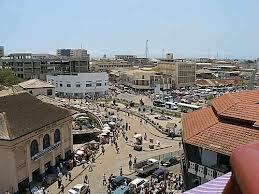 The reader gets a better sense of Ghana because of the inclusion of both the city and the country life. The elements of the story that give a picture of the past make the present stand out, as the culture of the Ghanaians evolves as do all ways of life. Solving a mystery with modern techniques at hand makes the witchcraft stand out in stark relief. Finally, Gladys and Efia are women who belong to two different worlds, but in a small town in Ghana, their stories come together in a nice contrast. This book has been compared to Alexander McCall Smith's Botswana mysteries, but aside from the African setting most things are quite different. 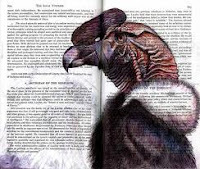 The pace, the characters and the subject matter make this a unique mystery of Africa. I am really looking forward to the next in the series, Children of the Street. 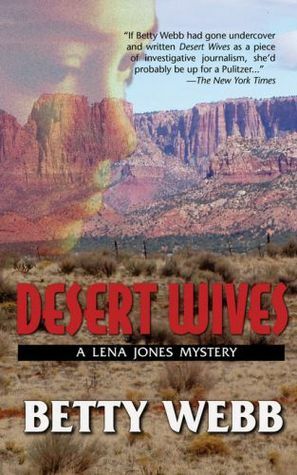 Another problematic form of marriage is expounded upon in the novel Desert Wives, by Betty Webb. 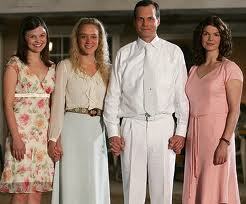 "What do you call a dead, sixty-eight-year-old polygamist? In the case of my thirteen-year-old client, you call him your fiancé." 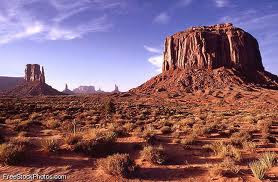 Arizona private investigator Lena Jones took Rebecca Corbett away from Prophet Solomon Royal, because her job was to rescue her from a polygamy compound called Purity, and soon the men from the area would be swarming to take back what they saw as their property: a breeding-age girl. Rebecca's mother, who had left the compound sometime before, has hired Lena to find the girl, whose father had returned to the compound and taken young Rebecca with him. 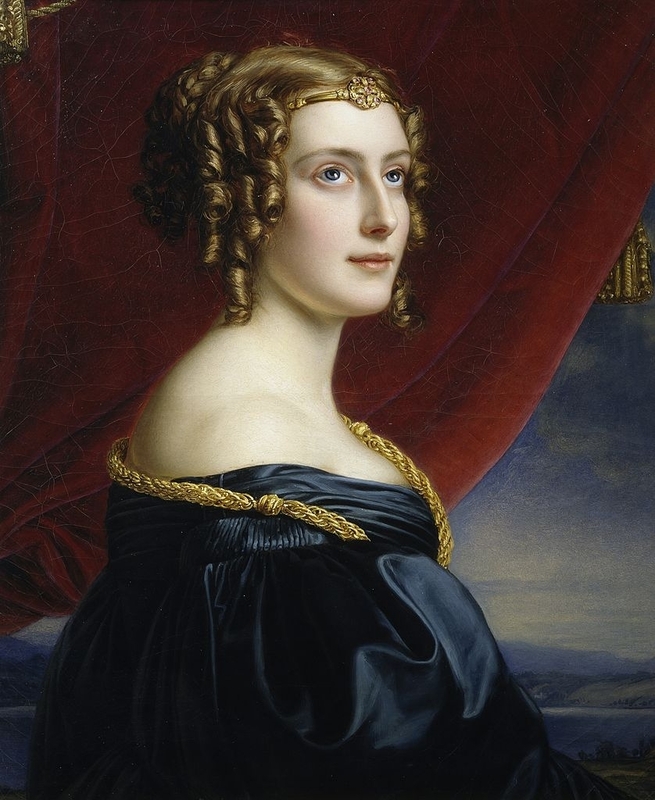 He brokered a deal in which he would get two 16-year-old brides, and the head of the polygamists, Prophet Solomon, would get beautiful Rebecca. It is no use to call in the police, since the reality of the political situation is that despite laws against polygamy and child marriage, it was still prevalent in many small enclaves of Mormon fundamentalist sects that separated from the mainstream LDS Church, and the local authorities do not interfere with the sects. Lena and Jimmy Sisiwan, her partner at Desert Investigations in Scottsdale, Arizona, have hidden Rebecca among Jimmy’s Pima Indian relatives. Then, the leader of the compound, Prophet Solomon, is found dead and Rebecca’s mother is arrested for the murder of the polygamist. Lena goes undercover at the Purity compound, masquerading as one of the wives of a sympathetic member of the compound who, while believing in polygamy, do not endorse child marriages. As Lena learns while undercover, there are troubles afoot in Purity. The new “Prophet” is more moderate, and is totally against underage marriage, as well as forced marriage, but he has an uphill battle and his life is also been threatened. Many of the male members of the Purity compound have access to arms, and many of the women who seemingly are docile and hardworking are seething below the surface. What is causing this pot to boil? Why do the authorities turn a blind eye time and again? As The New York Times pointed out, if Betty Webb had gone undercover and written Desert Wives as a piece of investigative journalism, she'd probably be up for a Pulitzer. Who would you ask to define wife? You might get an unexpected answer. When Anonymous was asked to define a husband, he had this story to tell: "I told my wife that a husband is like a fine wine; he gets better with age. The next day, she locked me in the cellar." Wow, makes me want to read "Mormonism for Dummies" because you never know. Anonymous, the Church of Jesus Christ of Latter-day Saints doesn't condone polygamy. 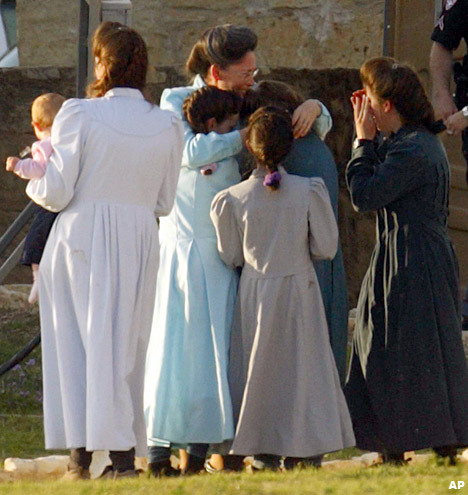 The polygamous sects are breakaway groups from the modern Mormon church. MC, thanks for the review of Kwei Quartey's book. There aren't enough mystery series set in Africa, and I'm happy to read about a good one. I've danced around Betty Webb's books (particularly this series) before and have yet to take the plunge due to spotty availability on audio. Currently Desert Wives is free for Kindle.